Dr. Joseph Gira is a graduate of the University of Missouri-Kansas City School of Medicine receiving his Doctorate Degree with Distinction. His transitional internship was at St. John’s Mercy Medical Center in St. Louis. Dr. Gira completed his ophthalmology residency at the University of Texas-Houston Health Science Center, Hermann Eye Center. 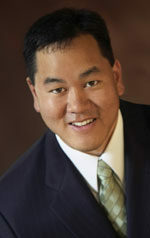 He has been in private practice in St. Louis since 1999. He is licensed to practice in Missouri and Illinois. Dr. Gira is Board-Certified by the American Board of Ophthalmology. He has presented numerous papers at various ophthalmology conferences, has published research papers and is an accomplished speaker. As one of the leading innovators in the refractive cataract surgery field, Dr. Gira also carries the honor of being a Premier Surgeon 300 member. These Premier Surgeons were hand chosen by the editors and publishers of Ocular Surgery News, a prestigious Ophthalmology media source, because of the influence and innovation they have contributed to the industry. Dr. Gira was chosen for this distinct honor by continuously working to educate and share his knowledge and techniques with his colleagues and the rest of the refractive cataract surgery field. Dr. Gira is married with two children and lives in the St. Louis area.